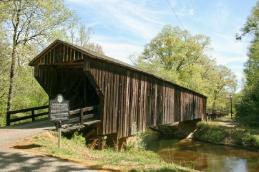 I blogged at the Primary Peach about one of the most respected bridge builders of the south in the 19th century. I have always been fascinated by Horace King’s accomplishments and thoroughly enjoyed researching about his life and his works. Check out the post on the Primary Peach! 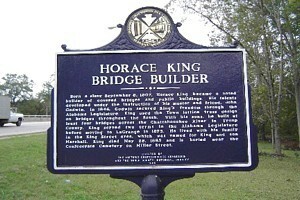 I hope you enjoy reading and learning about Horace King. 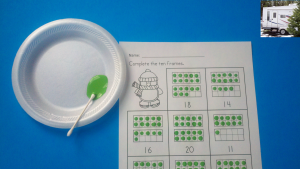 I am excited to announce that I have posted the 400th resource on TpT for Kamp Kindergarten. 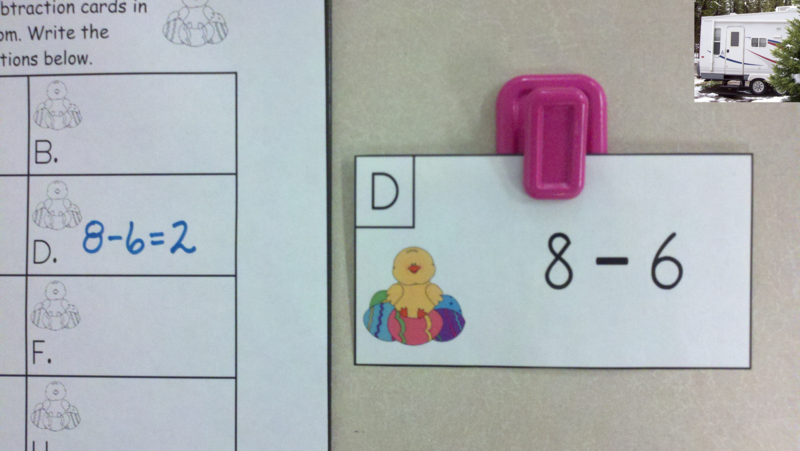 Next month also marks my 4th TpT-versary. To celebrate the occasion, I want to offer something to my followers and buyers to show my appreciation. 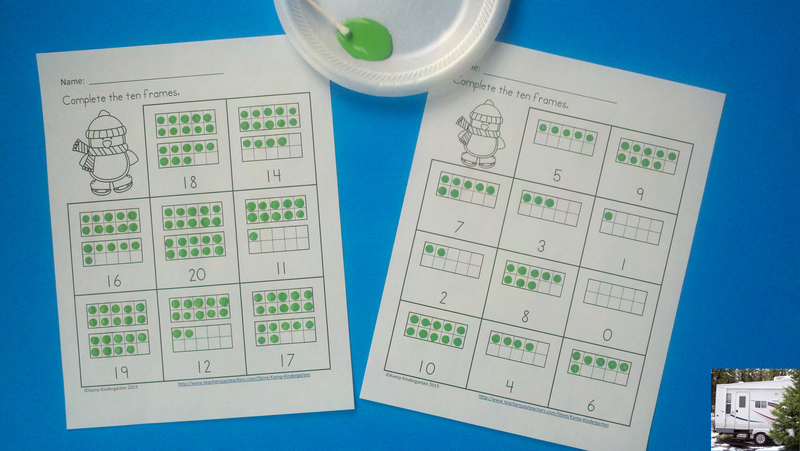 Put adhesive magnetic circles on back of the puzzles to use as a magnetic activity on a dollar store cookie sheet. These puzzles are great for morning tubs, early finishers, math centers, and take home practice. Thank you for your purchases, support, and feedback. I appreciate each and everyone of you. Without you, I would not have had this amazing journey. 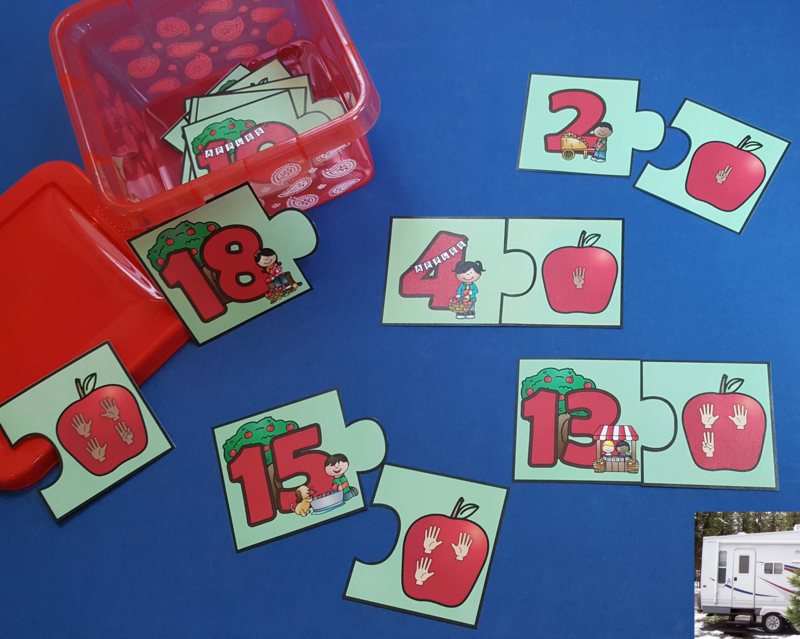 I hope to continue to grow and learn new things to continue to bring you engaging developmentally appropriate activities to share with your learners. 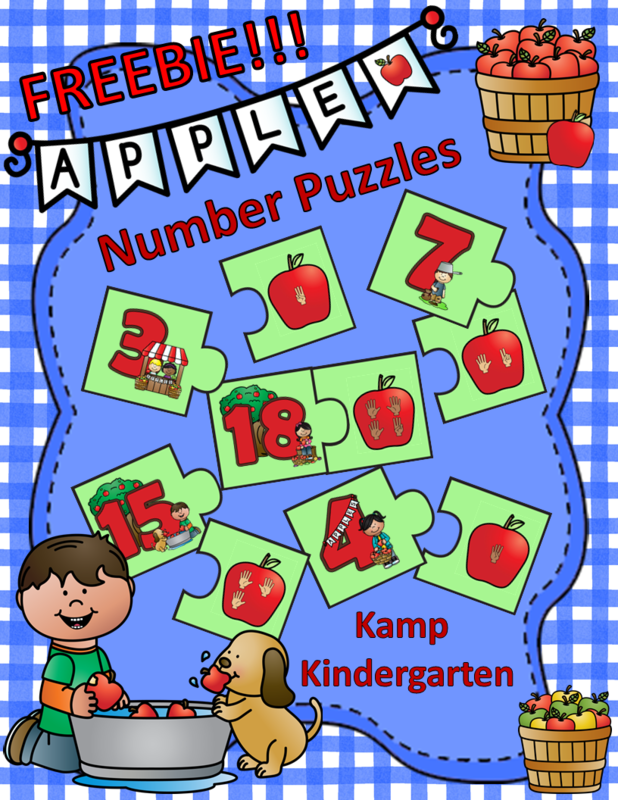 I hope you and your little friends enjoy these puzzles. It’s time for another TpT Gift Card Giveaway! I have joined these amazing sellers to bring you an opportunity to win this week! 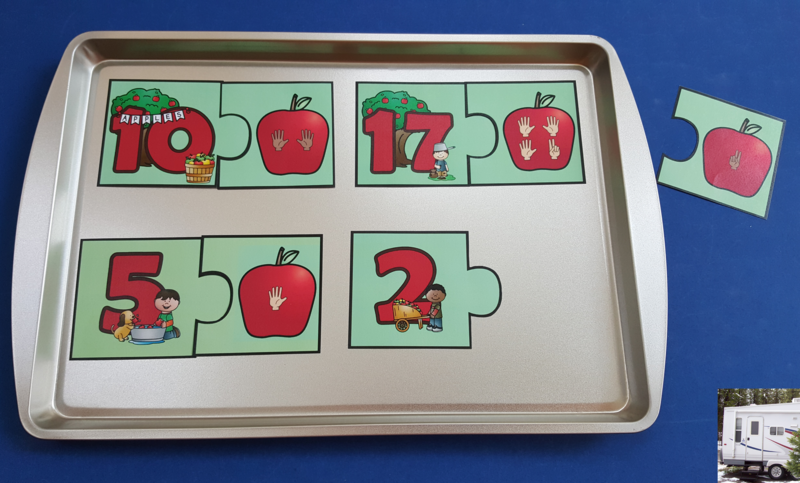 This giveaway is organized by An Apple for the Teacher. 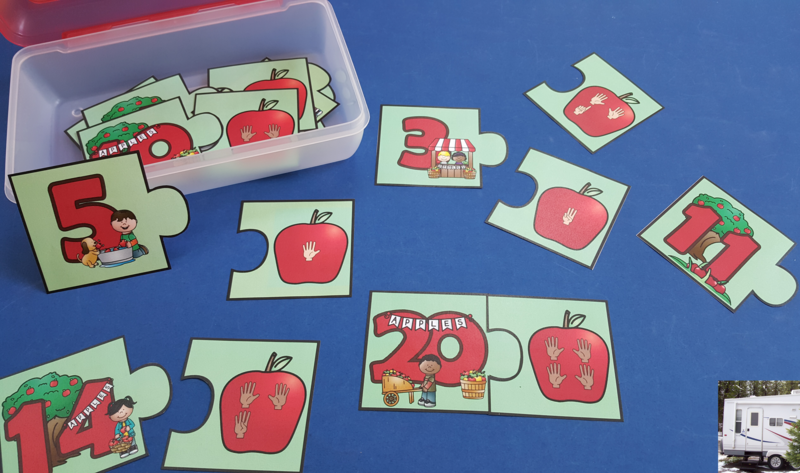 Please visit An Apple for the Teacher to enter. 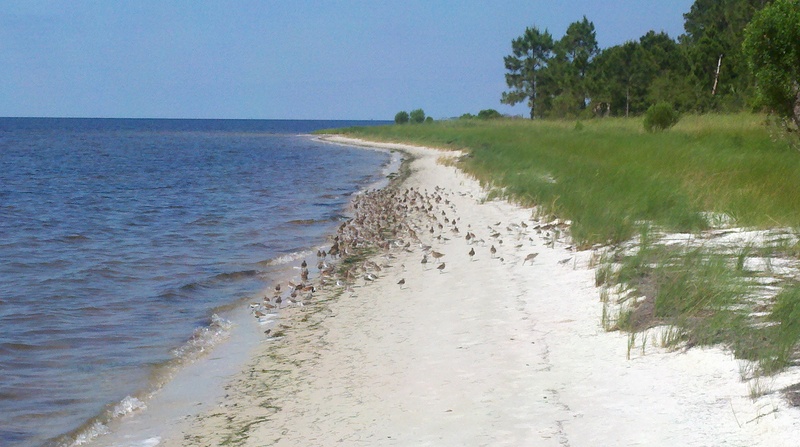 World Oceans Day is June 8. This year’s theme is Healthy Oceans, Healthy Planet. Read more about World Oceans Day 2016 in this article. World Oceans Day-June 8. 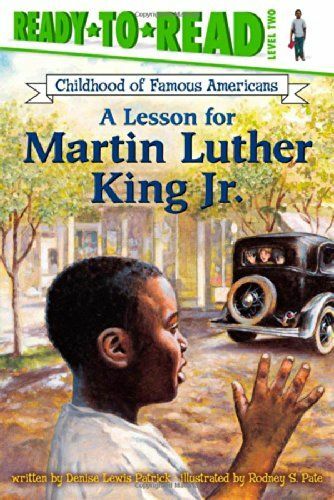 Books and music are always a fun addition to any event or celebration in the classroom. 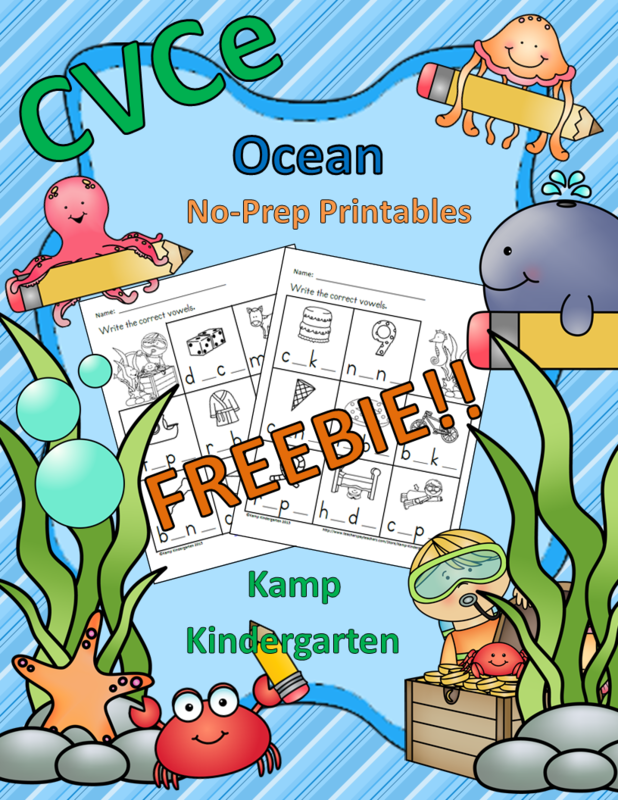 Here are some of my ocean favorites including selections from Raffi, who has become synonymous with protecting our environment and Brent Holmes who teaches our little ones about animals in a uniquely fun way. Learning in Motion with Friends from the Ocean! 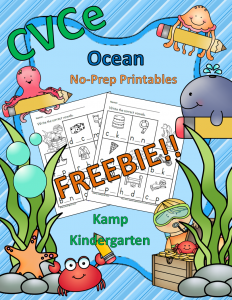 Here is a free resource to share with your little learners that will enhance your ocean unit. 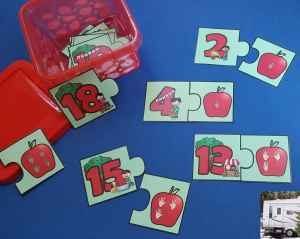 It will get your little learners up and engaged in practicing phonics skills. This is a great way to incorporate movement into your ELA block! 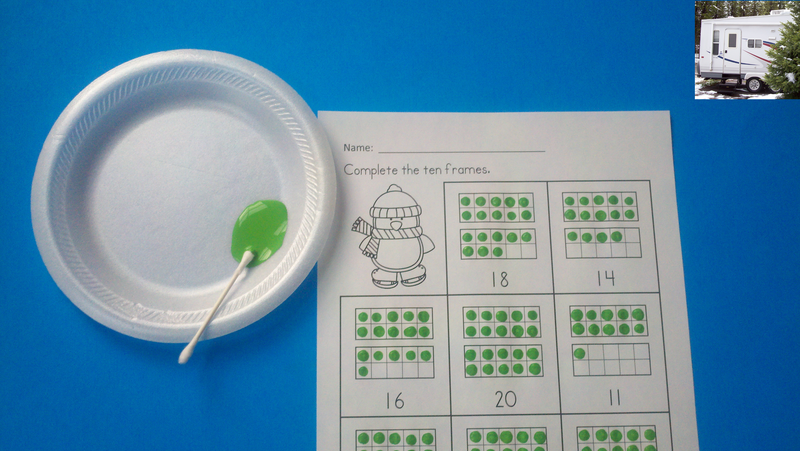 I hope you and your learners enjoy this activity! 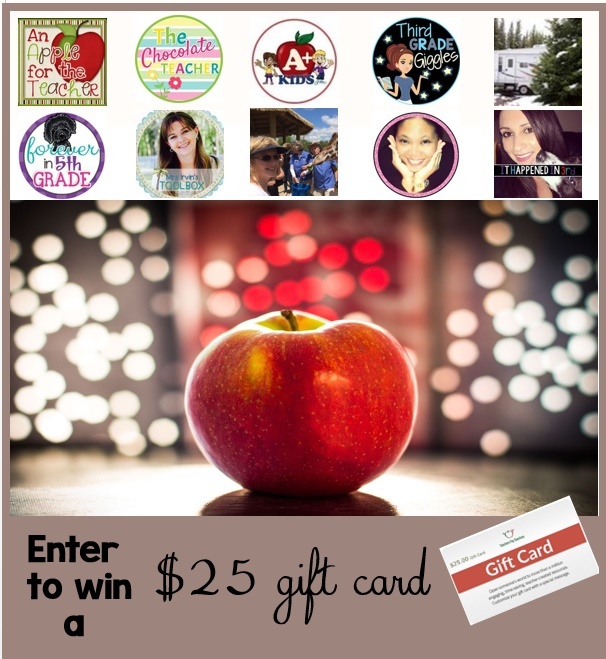 Enter to win a $25 TpT Gift Card! I have joined up with other bloggers to offer you an opportunity to win! 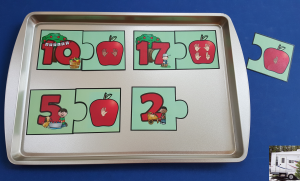 The giveaway is organized by An Apple for the Teacher. Other bloggers participating are Kamp Kindergarten, Stephanie Rye (Forever in Fifth Grade), The Chocolate Teacher, Mrs. Roltgen, and La-Nette Mark. Imagine getting $25 to spend on TpT during the summer when you have the luxury of time to make your decision of what to buy! Plus, you will have time to get your materials ready before the back to school rush! 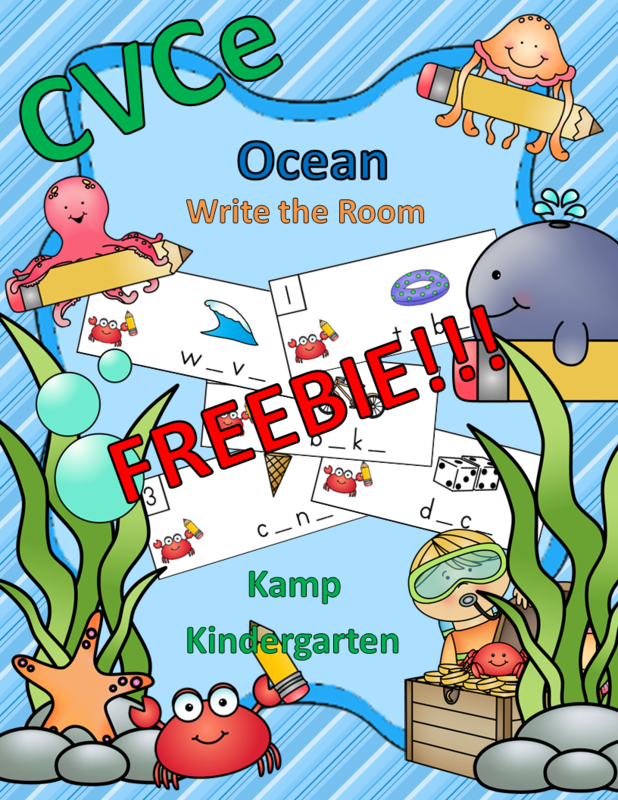 If you are still in school, you may want to purchase a fun resource for your little learners to enjoy the last couple of weeks of school. In either case, a TpT Gift Card is a great prize! 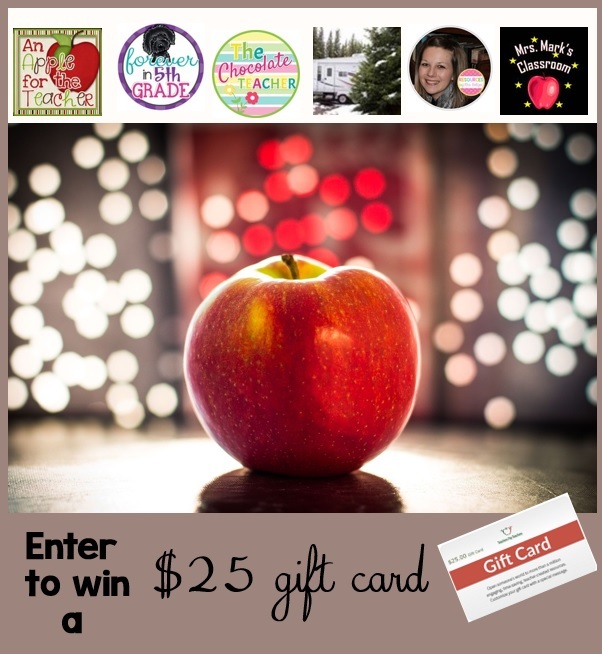 Please visit An Apple for the Teacher to enter the Rafflecopter giveaway! The Primary Peach is One Year Old!!! Join the bloggers of The Primary Peach as we celebrate our 1st Blogiversary! We are sharing freebies with our readers to show our appreciation for your support. 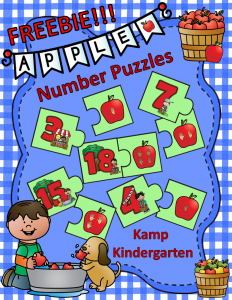 Here is your freebie from Kamp Kindergarten! Enjoy! 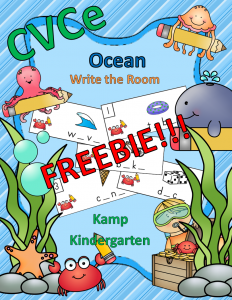 Click HERE to access your FREEBIE!!! Click on the link below to visit The Primary Peach for links to other blogs offering FREEBIES!!! Thanks for celebrating our 1st Blogiversary with us! 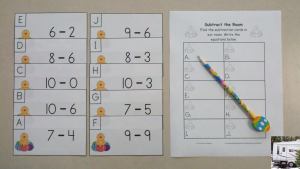 I blogged today at The Primary Peach! 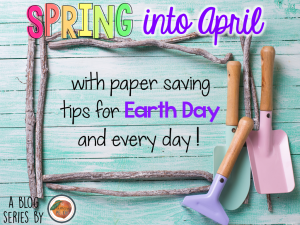 Check out the post for tips about saving paper without losing instructional opportunities or student accountability. The post also has links to FREEBIES!!! 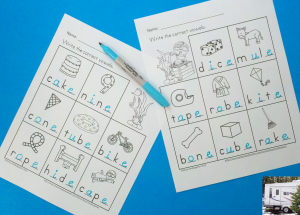 Are your little learners ready for spring break? Are they having difficulty staying focused? 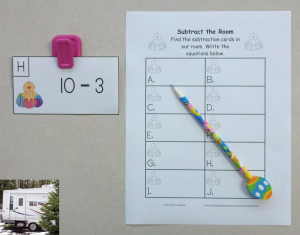 A Roam the Room activity may be just what they need to expend some of that extra energy while still addressing academic skills. 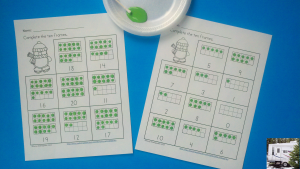 I have a FREE Round the Room math activity to share. 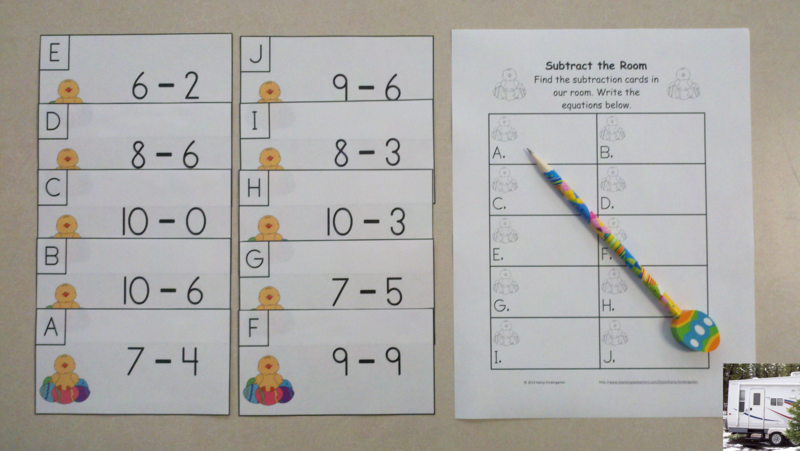 Easter Egg Fun Subtract the Room will get your little ones up and engaged in mastering subtraction facts to 10. Just print the cards and copy the recording pages. 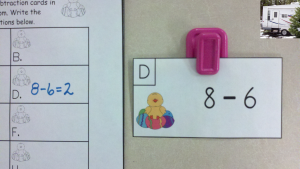 Learners carry a clipboard with the record sheet and a pencil as they search the classroom for the task cards. 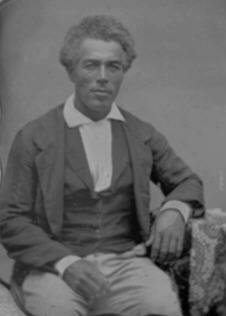 They record their responses in the correct spaces on the page. 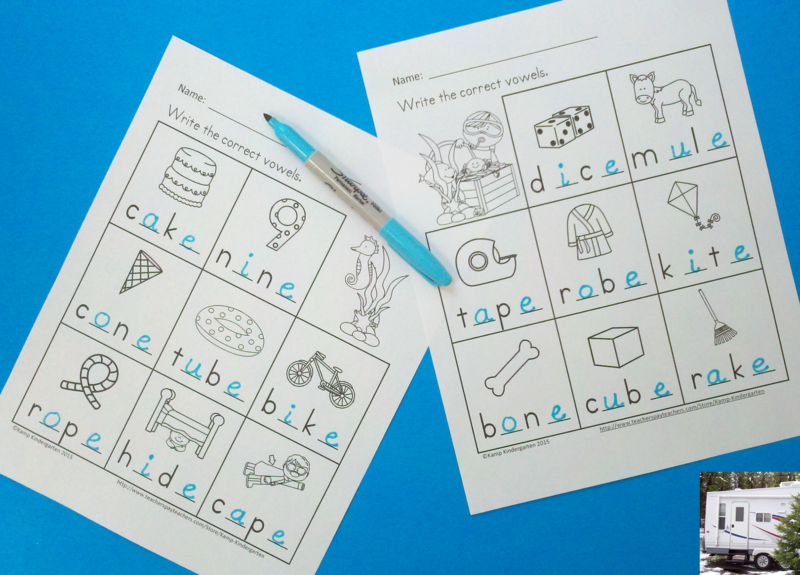 I hope that you and your learners enjoy this activity.